Last week Prince Reza Pahlavi of Iran who lives in exile from his homeland once again outlined his views on defusing the unprecedented danger threatening his country and world peace. He has expressed these views before but as the menace of confrontation with the Iranian regime looms increasingly heavier, the relevance and urgency of Reza Pahlavi's appeal is becoming more apparent. In an article published in Le Monde dated 21 September 2007 he points to a third way of encountering the regime in Tehran which is neither violent military attack nor appeasement. 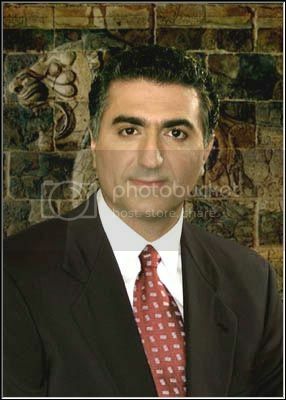 According to Reza Pahlavi what can save Iran and the world from disaster is a synergy between the democratic struggle from inside the country on the one hand and the will of international community on the other. The regime needs to be crippled from within and isolated from without. Economic sanctions together with political pressure should be the focus of the international efforts and not preparation for a military attack. "I share this conviction with many of the dissidents inside the country, that the essential problem of the Iranian people is neither the continuation of the uranium enrichment nor the Islamic regime's adventurism in one way or the other. The main aspirations of the large majority of the Iranians are freedom, human rights, secularism, prosperity, employment and security." What is pointed out in this article is a need for a shifting of the emphasis by the West in its confrontation with the dictatorial regime in Iran. So long as major Western powers demonise Iran for what the regime portrays as an issue of great national pride, the will for popular uprising and overthrowing the dictatorship is foiled and nullified. Major powers need to remind the Iranian people that far from grudging them advancement and technological progress, they are engaged in the same battle as they are in helping to rid their country of a medieval dictatorship and restore their human rights and liberty. To talk of the war between Iran versus the rest of the world is to exactly play into the hand of the Mullahs. Reza Pahlavi praises the new French government for its resolve to impose greater sanctions on the Islamic regime and blacklist members of the Iranian political establishment. The French President Nicolas Sarkozy has been very careful to make a distinction between the terrorist-sponsoring government in Tehran and what he calls the 'great Iranian nation'. Mr Sarkozy also thinks that between bombing Iran and allowing the Islamic Republic to develop weapons of mass destruction there exists a third option. Reza Pahlavi offers an Iranian point of view about the modality of this third option. The great advantage of his solution is that instead of alienating Iranians and pushing them into the claws of their oppressors, it pays homage to their just political aspirations and enlists their commitment to fight for their national liberation with dignity and pride. No political figure amongst the opposition has the legitimacy or popularity of Reza Pahlavi to unite the Iranian people in their fight against their tyrannical rulers. In this article for the prestigious French newspaper, he reiterates his commitment to carry the flame of freedom and democracy to the end and see off his nation to a destination where they can freely choose their future political path, be it a democratic republic or a constitutional monarchy. Boycott the terrorist AhmadiNejad's speech at Columbia University! Let the Iranian president (and the Columbia president) speak to a sea of empty seats. The rationale for a student boycott is simple: The Iranian government is directly involved in killing and wounding American soldiers in Iraq. As a gesture of elementary solidarity with those serving our nation in the military--young men and women, many of them their exact contemporaries--Columbia students should refuse to dignify Ahmadinejad's talk by attending it. Needless to say, Columbia faculty and administrators shouldn't attend either. Some of them will. But this is a chance for the 9/11 generation to show a decency and a sense of honor that some of their elders lack. After all, this is not primarily about Ahmadinejad. Dealing with his regime is mostly a task for our government. This is about us. Columbia students have a chance to shame their elders, redeem the good name of their institution, and make many Americans proud. I urge them to take it. 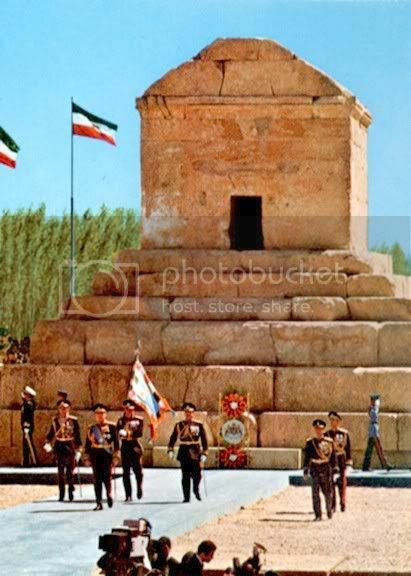 After having destroyed over a hundred archaeological sites dating from pre-historic to post-sassanian times (Sivand Dam) and exposing the tomb of Cyrus the Great to future destruction, the Islamic Republic is set to destroy a monumental Iranian historical site in their campaign to exterminate all remains of pre-Islamic Iran (Persia). 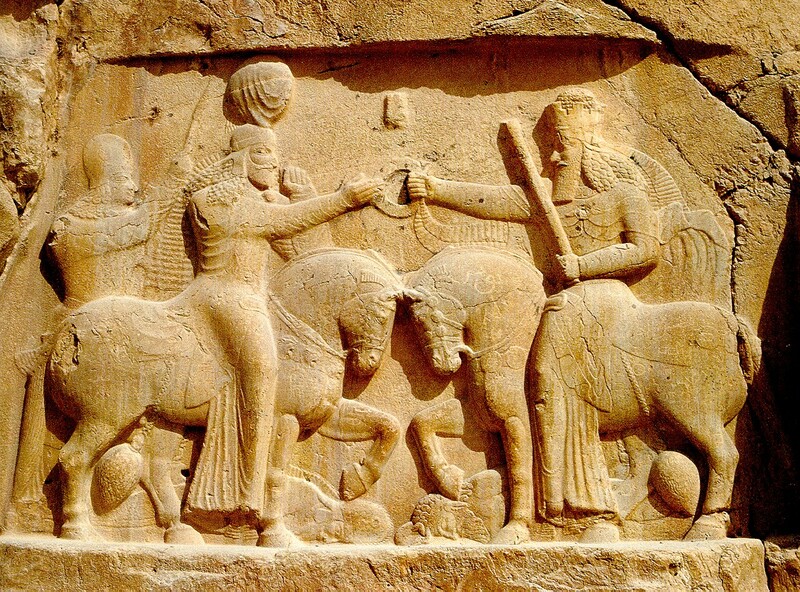 The tomb of Emperor Xerxes at "Naqsh-e Rostam" historical site is at risk of breaking in two if the occupational Islamic regime is allowed to continue construction with their Esfehan-Shiraz railway track. Evidence confirms the fears of Iranian cultural heritage enthusiasts that the powerful jolts caused by the passing of trains in such a close distance (as planned) to Naqsh-e Rostam would put the already damaged tomb of Emperor Xerxes in a real risk of being broken into two parts over time. These losses are not just losses to the Iranian Nation but to the entire cultural heritage of mankind. If Iranians are powerless to save these sites due to the violent and repressive nature of the occupational Islamic Regime at least those nations who do have the power (technological, economical etc.) 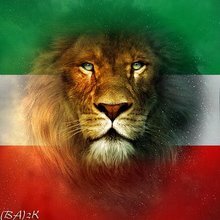 to assist the Iranian people in liberating themselves should do their human duty in helping the occupied people of Iran! We did not make the revolution to lower the price of watermelons”. Ayatollah Khoeimini’s observation was prescient. The revolutionary era that began in 1979 has proved an economic catastrophe for Iran. US sanctions, colossal capital flight both under the Shah and the clerical regime, gasoline subsidies, erratic policy making, corruption, mismanagement of state companies, the economic monopolies of the bonyads (foundations) and the Revolutionary Guards, the international banking credit freeze engineered by US Treasury and the devastation from the war with Saddam’s Iraq have all contributed to Iran’s economic sclerosis. Even though Iran earns more than $40 billion in oil revenues, Bank Markazi has $60 billion in central bank reserves and NIOC pumps more oil than any state owned oil company in the Gulf other than Saudi Aramco, the economic metrics of revolutionary Iran are pathetic. The state influences 80 per cent of the Iranian economy. Iran pumps a third less oil in 2007 than in the last year of Reza Shah Pahlavi’s reign in 1978. The jobless rate is estimated above 25 per cent. Gasoline rationing, unpaid wages low teacher salaries have triggered riots and street protests. Iran barely attracts $1 billion in FDI, one tenth the level of Turkey or Egypt, both comparable economies. The stock market has crashed since the election of President Ahmedinijad and his subsequent attack on the economic reforms and the business elite of the Khatami and Rafsanjani era. Iran’s uranium enrichment programme has only provoked US sanctions and deepened its international isolation. Even though Iran enjoyed a petrodollar windfall with $75 crude oil, no less than 150,000 Iranian university graduates emigrate each year and wealthy Iranians are desperate to find offshore nest eggs for hidden cash. President Ahmedinijad campaigned on a platform of economic populism, fulminating against “oil mafias” and “capital speculators”, the cynical elite of past-Shah Iran, often the progeny of top Iranian officials and clerics. Yet the president’s erratic decisions have only worsened Iran’s economic malaise. Ahmedinijad ordered banks to slash interest rates during a time of high inflation without even consulting the governor of central bank or the minister of planning. The president also ordered the minimum wage to be increased by 50 per cent, thus ensuring that endemic unemployment became worse. His calls for “justice shares” for the poor in Iran’s state owned companies have been the kiss of death for the private sector’s interest in the regimes embryonic but deeply flawed privatisation programme. Ahmedinijad has also strengthened the economic power of the Revolutionary Guards, awarding them valuable concessions, monopolies and a $2.3 billion contract to develop the South Pars natural gas oilfields. 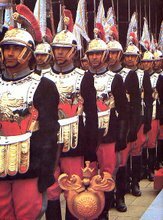 Now that the Bush White House has designed the Revolutionary Guards a terrorist organisation, vast swathes of the Iranian economy are off limits to foreign investors. International banks UBS, Deutsche, HSBC, Credit Suisse and Barclays have also ended their financial ties to Iran under American pressure. The US Treasury has also blackballed Bank Saderat and Bank Sepah from the international money markets, accusing the banks of financing arms shipments to Hezbollah and nuclear component smuggling. Iran’s economic failure cannot be blamed on President Ahmedinijad alone. US sanctions have prevented Iran from importing American technology to develop its industrial base or oil infrastructure. While oil sales account for 80 per cent of Iranian exports, Teheran’s buyback terms and corrupt bureaucrats have inhibited production joint ventures with even Indian, Chinese and Russian oil companies. The IMF estimates that Iran state subsidies on gasoline, food, housing, bank credit and fertiliser account for 25 per cent of GDP, a recipe for economic disaster. Government spending in Iran has gone ballistic with the rise in crude oil prices. The gasoline subsidy ensures Iran has the cheapest petrol in the world, a major factor that explains Teheran’s clogged traffic, pollution and oil smuggling syndicates. The billions of dollars Iran wastes in subsidising gasoline should have been used to build local refining capacity or upgrade ageing oilfields in a rational world but the economics of revolutionary Iran is anything but rational. The state owned foundations (bonyads) wield extraordinary power in Iran, owning hundreds of companies whose output is 25 per cent of the national GDP. They enjoy tax subsidies and preferential access to the banking system that enable them to simply “crowd out” the private sector. Privatisation in Iran has proved an illusion, a mere reshuffle of state assets among companies owned by rival fractions in the theocratic elites of Qom and Teheran. It is ironic that though the merchants of the Teheran bazaars were the financiers of Ayatollah Khomeini in the last decade of the Shah’s regime and the pistachio magnate Ali Akber Hashemi Rafsanjani became the president of Iran and is still the regime’s eminence grise and power broker, no pro-business political party exists in Iran’s political constellation. The arbitrary intervention and quixotic decision making of President Ahmedinijad has dealt a serious blow to investor confidence. Iran’s economic failure is all the more poignant given the financial success and wealth creation in the GCC. The economic malaise of revolutionary Iran has hit its young hardest, 800,000 of who graduate from university each year in an anemic job market. This is a political time bomb for the regime in the years ahead. Matein Khalid is a Dubai-based investment banker and economic analyst. The Shah of Iran's speech on "Women's Day"
Shahanshah begins his speech by stating that Iran before the rise of Reza Shah the Great had in essence been reduced to nothing but a name and the country was controlled by foreigners who had their own interests at heart. Shahanshah then talks of how half of Iran's population was for the first time in 1400 years (of Islamic occupation) once again allowed to participate in the country's daily affairs through the decree of his father Reza Shah the Great (Liberation of Iranian Women), despite the efforts by the sworn enemies of Iran - the "unholy alliance of red and black" (Communists and Islamists) - who were working to reverse the country's rapid progress. His Imperial Majesty points out the invaluable work of Iranian women and refers to their success by them having reached many high positions in society. Shahanshah concludes that despite these difficult times he will stand up against those foreigners and enemies who wish ill upon Iran and go ahead with the plans for more freedoms which are envisioned by the Revolution of the King and the Nation ("White Revolution"). See my photo collection on this magnificent event by clicking HERE.